In memory of San artist Cg’ose Ntcox’o (Cgoise) who died at the weekend. We had very sad news from Botswana today, that the much loved and very talented artist Cg’ose Ntcox’o (Cgoise) died at the weekend following a stroke. Arguably one of the best known San Artist – Cgiose’s work reached public attention in 1997 when she was selected by British Airways to decorate the tailfins of eight of their planes. 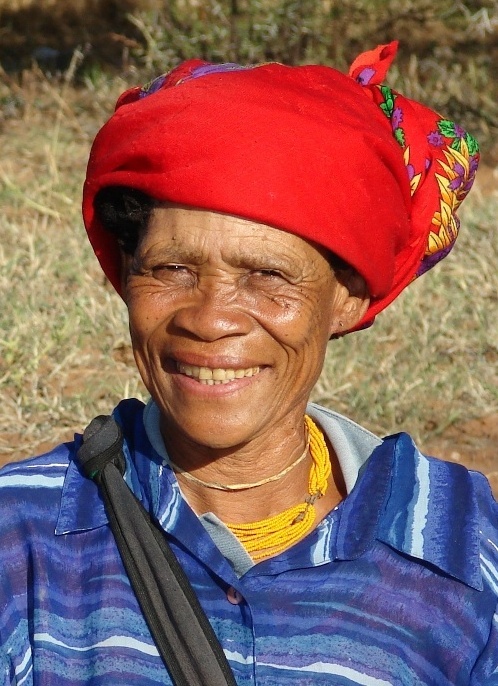 Ntcox’o was born in the 1950s in the Ghanzi district in Botswana and like all the Kalahari Bushmen artists, she had a deep love and longing for the Kalahari bush. Cgiose lived an honest and simple life with her family – taking pride in their traditions and the small herd of cattle in which they invested most of their money. In her work she liked to depict the daily work of women such as the collecting of veldfood and its preparation. Animals such as dogs and donkeys often appear as repeated motifs in her work. 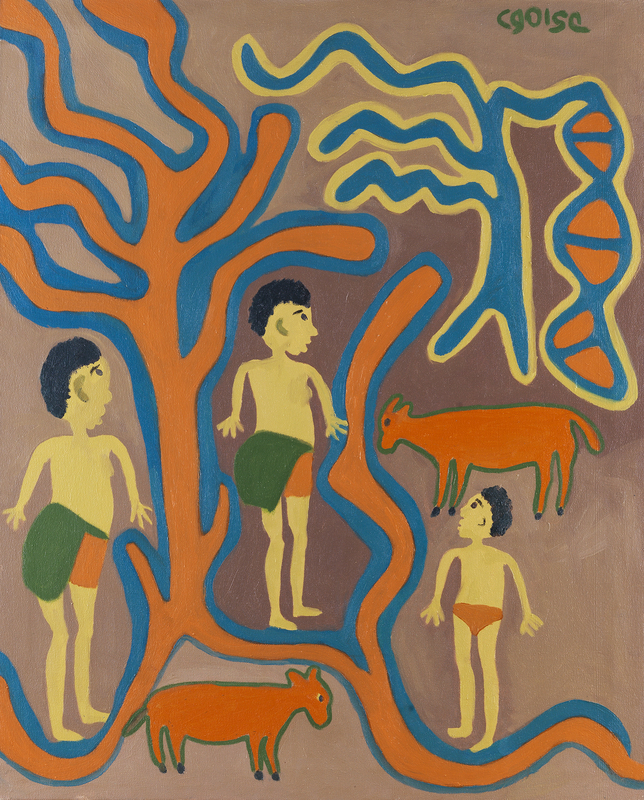 Plants and animal forms are depicted together often alongside rounded human figures, symbolising for her, the beauty of the Kalahari Desert after good rains. Through her art, Cgiose would like us to remember the beauty of life in the Kalahari and like most of the Bushmen artists she gave no attention to the hardships, pain and difficult circumstances in which they live. She will be a great loss to The Kuru Art Project of which she was a much loved member, the project is based in Botswana and does great work with marginalised communities in income-generating creative activities. Proceeds from the sale of Cgiose’s work will now go to her family. You can view some of her available work here. May she rest in power.